Samsung Galaxy S4 Vs Apple iPhone 5 – Fighting It Out!! 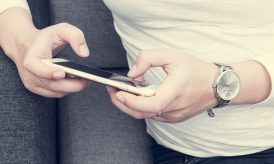 In today’s era everyone wants to stay connected and this is a major reason behind the boom of smartphones in the telecom industry. Due to increased reliance on various platforms like cloud, individuals and corporate require quick and easy access to the files and folders. Besides, smartphones are also a great source of entertainment and infotainment for the people. 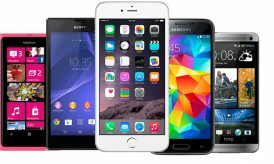 The market is full of popular devices, however we are comparing two highly successful gadgets of the market that have broken all the previous records of sales and popularity and these devices are the Apple iPhone 5 and Samsung Galaxy S4. In some situation, size does matter. 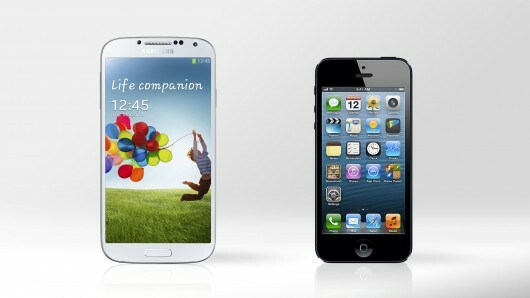 More or less the size of both the devices are same, with Galaxy S4 being slightly taller and wider than the iPhone 5. However, the total weight of iPhone 5 is lesser than Galaxy S4. Both these devices are pretty handy and easy to carry. Apple devices have got the best displays and aesthetic appeal. iPhone 5 is beautifully encased in an anodized aluminum exterior and the metallic facades looks spectacular. 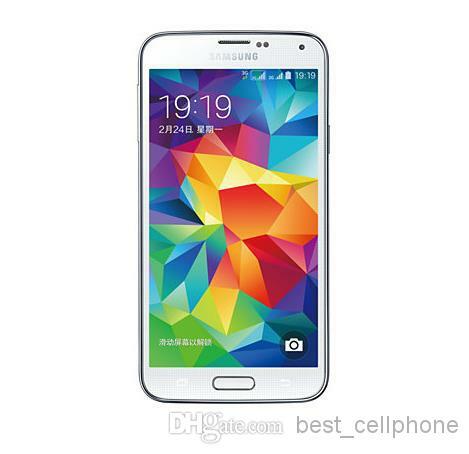 On the other hand, Galaxy S4 has got a plastic look but that doesn’t make it any lesser. Besides, the plastic body allows the user conveniences like micro SD slot and removable battery, which obviously is missing from iPhone5. You will find crystal clarity in both the devices. 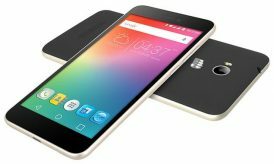 They have got a 16:9 aspect ratio, with Galaxy S4 sporting a 5 inch screen backed with a resolution of 1920 x 1080 pixels with a pixel density of 441 ppi. On the other hand, iPhone 5 has got a 4 inch display supported by 1136 x 640 pixel providing a density of 326 ppi. iPhone 5 uses IPS screen as compared to Super AMOLED technology used by Galaxy S4. In simpler words, iPhone 5 offers more realistic colors, where in S4 you will find more vibrant images and colors. Power plays a crucial role in determining the success of the device. Apple iPhone 5 runs on the dual core 1.3 GHZ processor backed by 1 GB of RAM, whereas Galaxy S4 sports a much better quad core 1.9 GHZ Qualcomm processor backed by 2 GB RAM. Even though S4 has got beefy CPU requirements, but Apple is consider as smoother because of its iOS mobile OS. Apple has continued with the traditional tap only feature for iPhone 5, whereas Galaxy S4 has included SwiftKey and Swype features through Android, which are becoming more popular among the modern users. Also, feature like Air Gesture that allows the user to control feature of device through hand cues gives Galaxy S4 a clear advantage. However, Apple’s Siri voice assistant is the best in class and offers a lot of utility to the user. Apple Maps are though disappointing. Both the phone sports decent camera, with S4 having a 13 MP primary camera and iPhone sporting a 8 megapixel camera. These devices have got useful and effective photo and image editing apps that allows the user to edit the photos and make them look even better. To get the most out of these devices, you must look out more iPhone 5 and Samsung Galaxy S4 tips online.